An emerging new technology is that of sunlight transportation. Sunlight is collected on roof panels and transported into a building via fibre optic cables for distances up to 15 metres. The Colour Rendering Index (CRI) rates a light source’s ability to show colours in a natural way, based on a scale from 0 to 100. 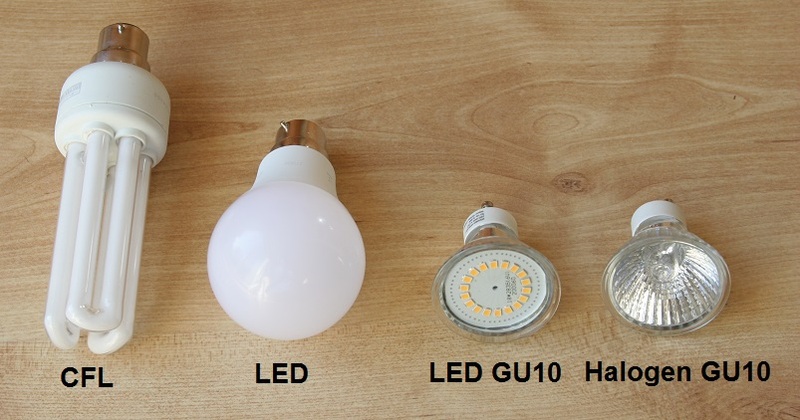 Light sources with high CRI (80-100) will make people and things look better than those with lower CRI’s. 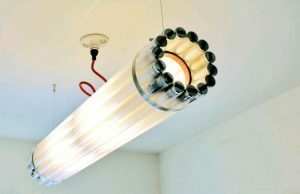 If you have a large number of old fluorescent tubes and don’t know what to do with them, here’s the perfect idea! The Toronto based design collective known as Castor Canadensis create ceiling lights out of discarded old fluorescent tubes. In 1954 the company NES lit the world’s largest light bulb (75,000 watts) in celebration of its 15th anniversary.